Leverkusen – Amidst the understandable hype surrounding Pep Guardiola's arrival in Munich and Jürgen Klopp's definitive elevation to the pantheon of European football's coaching A-list, one top-end Bundesliga sideline reshuffle almost dropped under the radar last summer. 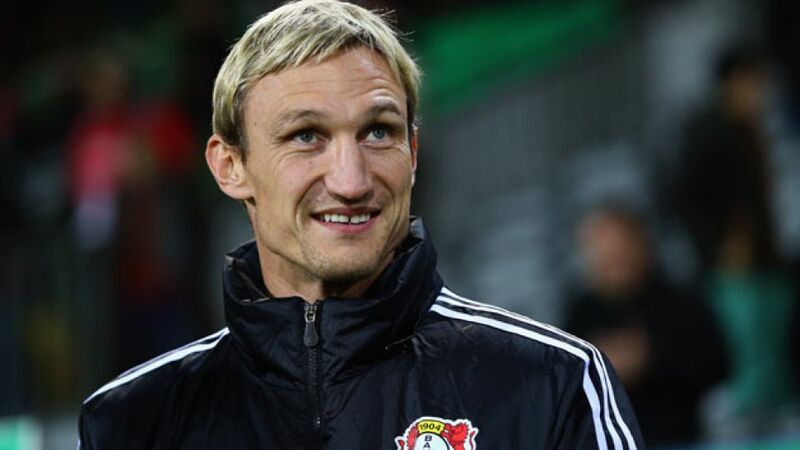 Sascha Lewandowski's return to the youth ranks as head of coaching left Sami Hyypiä in sole charge of Bayer 04 Leverkusen going into the new season. The duo had extended an initial caretaker arrangement into a highly successful 2012/13 campaign, ending with a third-place finish and direct qualification for the UEFA Champions League. Now, having been registered by the Finnish FA for UEFA's pro-license, Hyypiä was technically qualified to go it alone in the German top flight. While the Leverkusen management were clearly confident that the former Liverpool FC defensive stalwart was up to the task, competing with the likes of Klopp and Guardiola at the sharp end of the action remained an undeniably daunting challenge for a relative rookie in the coaching hot seat. At the half-way point of his debut season, Hyypiä can be unequivocally said to have paid back in kind the faith placed in him. The Werkself are second in the standings behind defending champions FC Bayern on 37 points, just two fewer than their 2001/02 club record for the opening 17 games. That in itself, it should be added, is only a continuation of their form over the back end of last season: with 69 points from their 34 Bundesliga outings in 2013, Bayer are also second in the 'annual' rankings – which are also topped by the men from Munich, with a whopping 93. In certain specific areas, however, the hand of Hyypiä seems to have made Leverkusen an even more effective unit than before. That has certainly been the case in every game in which they have opened the scoring, with twelve wins out of twelve the upshot so far. The 105-time Finland international's own world-class defensive legacy is also apparent in a goals-against tally of just 16, the second lowest in the division. At the other end of the park, meanwhile, Bayer's game this season has been marked above all by its unpredictability. A third of the team's attacks have been initiated down the right flank, a third down the left and the remainder through the middle. That of course leaves opposition coaches with a real headache trying to come up with a workable strategy to nullify the multiple threats posed above all by Sidney Sam, last season's league top scorer Stefan Kießling and the ever-improving Heung Min Son. All three frontmen have played a major part in Bayer's impressive campaign to date, with Sam in blistering form during the opening weeks of the season in particular and the ever-reliable Kießling once again riding high on the scoring chart. Summer signing Son for his part really came on strong in the games leading up to the winter break, not least when coolly bagging the winner in the crunch encounter at Dortmund on Matchday 15. An otherwise memorable year ended on an anticlimactic note as Leverkusen slipped to successive single-goal defeats against Eintracht Frankfurt and Werder Bremen. Hyypiä took both in his typically phlegmatic stride, confessing himself “happy for the team about the number of points we've taken so far.” With assistant coaches Jan-Moritz Lichte and Daniel Niedzkowski – whom both he and sporting director Rudi Völler have expressly acknowledged as being indispensable to the overall project – Bayer's man in charge is now diligently working to try and ensure “a second season-half as successful as the first.” Improving the team's overall return against packed, deep-lying defences is one particular area they will be focusing on, with Hyypiä hoping to have “one or two tricks when we start again in January.” If they do, they will certainly be well-placed to continue giving Bayern a run for their money.